Experience the coastal lifestyle on one of the best beaches in the United States! This is an excellent opportunity to own at the world class Mandalay Beach Club. This amazing 11th floor residence showcases the Sonesta model (2015 sq ft) open floor plan featuring 2 Master Suites, Den/3rd Bedroom, 2 1/2 bathrooms. The condo was completely renovated in 2016 with numerous updates including new tile flooring throughout, new interior doors, trim, hardware, baseboards, all new blinds with remote controlled on all 4 balcony sliders and much more. The amazing kitchen has custom wood cabinets featuring toe kick storage, with granite counter tops, granite composite double sink, Stainless Steel appliances -GE Caf Series, custom built coffee bar, and an eat-in area. The master bathroom boasts spa like features, double vanity with quartz counter tops, free standing soaker tub, walk-in shower, and custom walk-in closet. 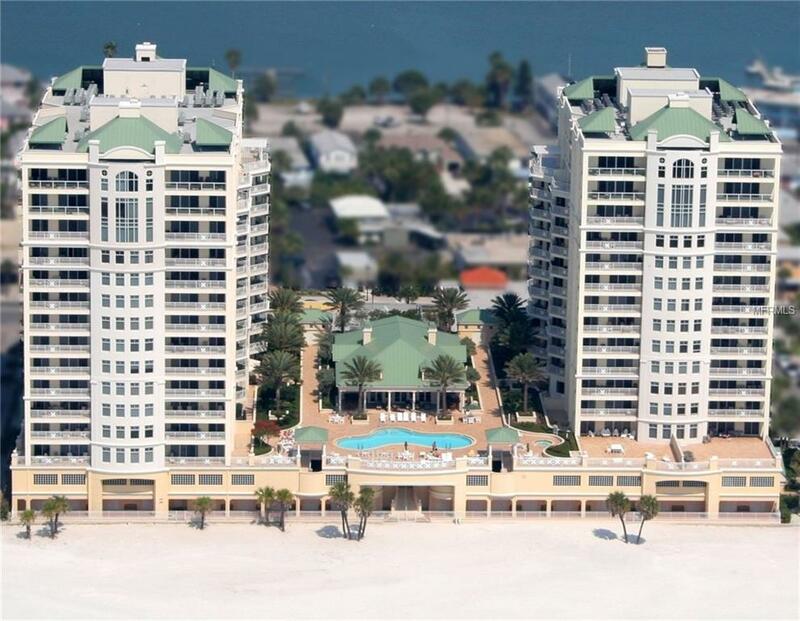 The East and West balconies provide stunning views of the City of Clearwater, Bay/Harbor, Pier 60 and gorgeous Gulf sunrises and sunsets. This waterfront complex includes world class resort style amenities: a clubhouse with caterer's kitchen overlooking a beachfront heated pool and spa, billiard room, game room, board room, sauna and fitness center, 24 hr gated security, assigned under building parking, and air-conditioned storage space. This is a pet friendly complex which allows 2 pets up to a maximum of 35 lbs. Don't miss the virtual tour for more pictures!!!! CALL TODAY FOR YOUR PERSONAL TOUR!!! !